The City of Northville, MI owns and maintains a roadway network totaling more than 25 miles within the city limits. Road conditions are consistently among the top issues facing Michigan communities and Northville took matters into their own hands to make changes. To understand what they were working with, the city hired Spalding DeDecker(SD) to conduct an in-depth inventory and analysis of their roadway system. The SD field Investigation included visual inspection and evaluation established by the PASER method. 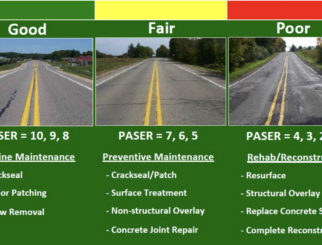 Data was organized to create a network containing more than 170 pavement segments based on the condition rating, repair priority, pavement use, and roadway classification. The study showed that 46.5 percent of streets were in poor condition and 20.8 percent were in fair condition. A conceptual 10 year work plan was developed to bring streets up to good condition before they deteriorated to a point where complete reconstruction would be necessary. 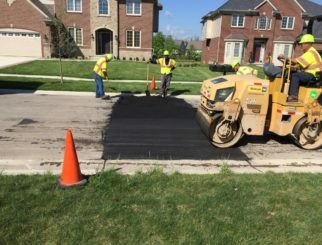 The city residents approved a bond proposal for $3 million to support the street repairs and replacement over the next 5 years along with a 10 year pavement management program to prevent streets from deteriorating to poor condition again.